Unisex Train Together Hoodies. Pick your size using the drop down! 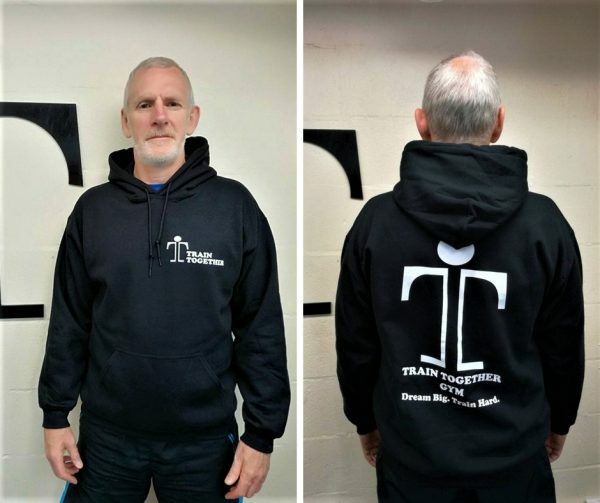 Our Unisex Train Together Hoodies are perfect: they are comfy, soft and lightweight – perfect for a workout or just throwing on and wearing out and about. The hoody is black with a unique, stylish white high-quality printed logo on both the front and back. The hoodies have a draw string hood and relaxed fit. 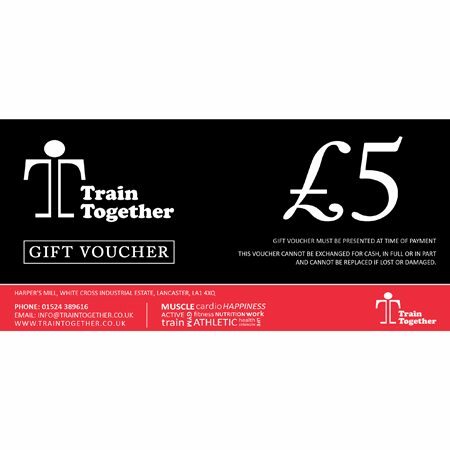 Our Train Together Hoodies are 50% cotton and 50% polyester, and machine washable (please see care label for more details). 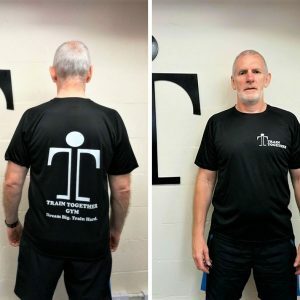 If the size you require is out of stock, please get in touch with us on 01524 389616 and we will add your hoody to our next order (we will aim to get it to you as quickly as possible!). 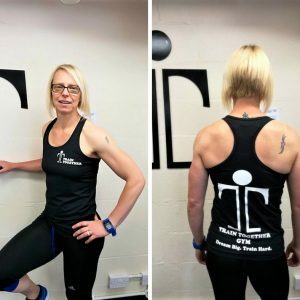 Once ready, we would usually ask for you to collect your order from our gym and fitness studio. If this is not possible, please give us a call on 01524 389616 and we can arrange delivery at a small additional charge.